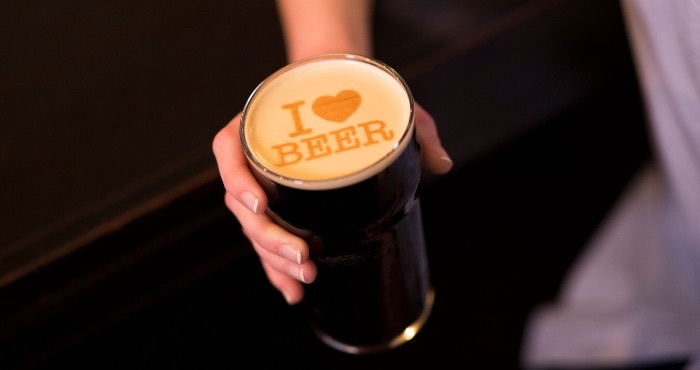 You've probably heard of latte art, but what about beer art? That's what Beer Ripples offers, just in time for Saint Patrick's Day. But where latte art involves a skilled barista using milk to paint designs on the surface of your espresso, Beer Ripples uses 3D printing and a specialized malt-based ink. The result is high-resolution art and text perfectly printed on the foam of your beer, without any impact on the color or taste. Think of it as an inkjet printer… but instead of printing on paper, it prints on beer. The Beer Ripples printer looks a little like a Keurig coffeemaker. Once you've pulled a pint, just set it in the printer and with a couple of taps on the touchscreen, you're ready to go. It takes just 11 seconds to print whatever you'd like — from a text message to a logo to a photo — on the beer. And Beer Ripples is connected: you can send your own messages or photos to the machine via the Ripples app (for iOS and Android). It's a snap to print custom content on your next drink. And if you don't think your selfies will make the best accompaniment to your drink, Ripples has plenty of messages and images to chose from. A few taps on your smartphone or the Ripples device itself will make amazing beer art even if your photo skills are a little shaky. Since we started out talking about latte art, it may not be a surprise that Ripples started with coffee, too. The company's first gadget was the Ripple Maker, which prints messages on foam-topped coffee drinks using coffee extract as ink. While latte art needs a barista with some artistic flair, Ripple Maker only takes a few taps to print whatever you want on to the surface of your coffee — it's latte art (and latte selfies) for everyone. And now that beer is on the lineup, you can enjoy custom drink art morning or night. But if you were hoping for a device that would sit on your kitchen counter, you're out of luck. 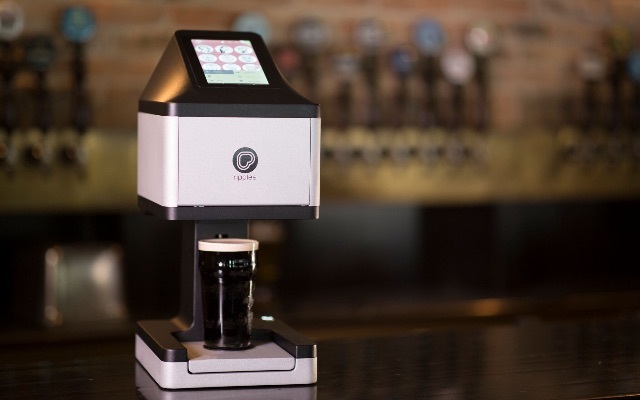 Beer Ripples is designed — and priced — to be used in bars and restaurants, letting you order up customized drinks at your favorite hangout. Beer Ripples is available right now in the U.S. and Canada, so it's time to let your local bar know that they need one of these. Because, really, your selfie skills will go to waste if you can't decorate your pint with them.